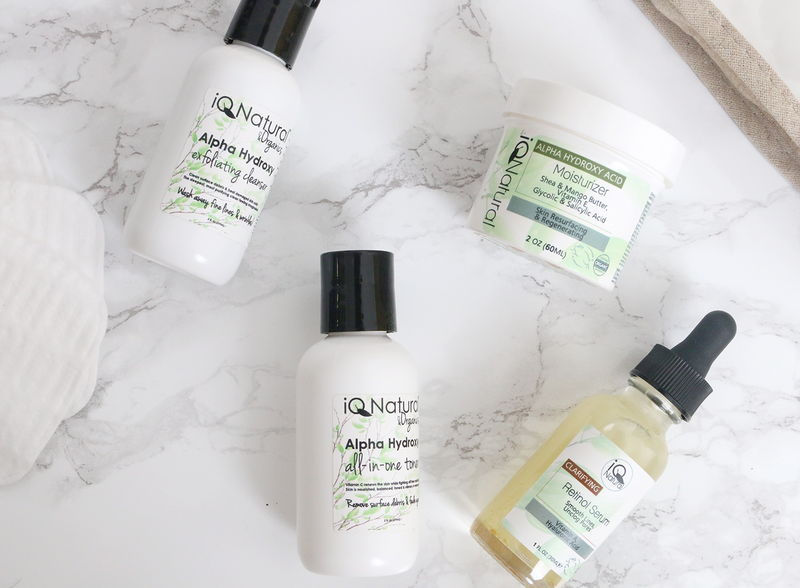 A while ago I started testing out some IQ Natural products in the hopes that it will help with my acne and acne scarring. I was very excited to see the result these products will give because the cleanser, tonic and moisturizer all contain Alpha Hydroxy Acid, also knows as AHA or Glycolic acid. What glycolic acid does is exfoliate your skin and help bring new skin cells to the surface. Skin regeneration helps reduce acne scarring which is what I am mostly suffering with at the moment. 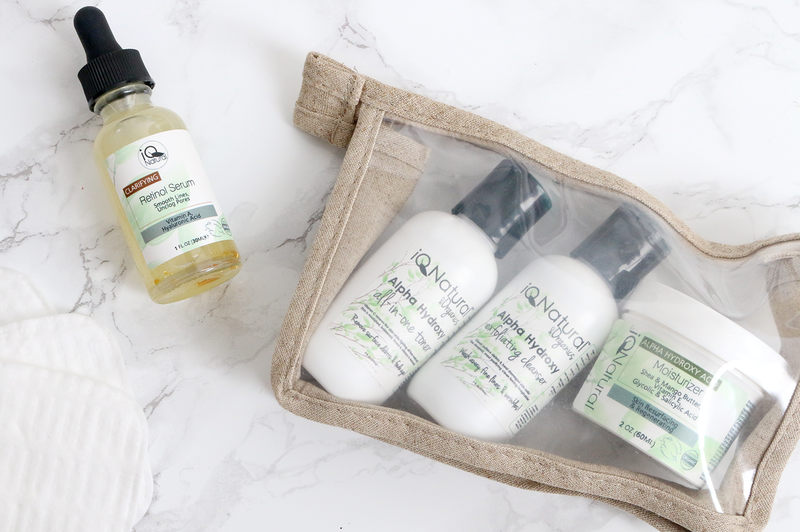 IQ Natural is a US skincare brand which makes all natural products for different skin issues. So depending on what bothers you the most about your skin, you can find the right products to target this problem. For example, for acne and acne scarring, the Alpha Hydroxy Damage Reduction Set and Retinon Serum are recommended; for rehydration and repair, they have created the Hydration Daily Care Set and for those worried about wrinkles, the Anti-Aging Daily Care set is available. 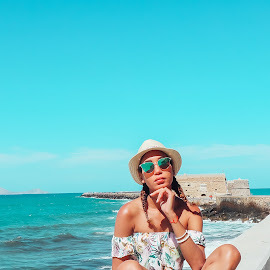 They offer international shipping so everyone can give these products a try. I received the Alpha Hydroxy Damage Reduction Set* & the Retinol Serum*. The Alpha Hydroxy Damage Reuction Set contains a cleanser, a toner and a moisturizer. The cleanser and toner contain natural ingredients such as Aloe Vera which heals the skin, MSM which has anti-inflammatory properties, Witch Hazel and Tea Tree Oil which battle acne, Glycolic Acid, Vitamin C and more. I received the travel set size which comes in 60ml bottles and is advised to be used twice a week. It is aimed at clearing up acne, reducing breakouts and fading acne scars and wrinkles. The cleanser and tonic are all natural products which are Vegan, Gluten free, Paraben free, Sulfate free, Cruelty free, are high in organic content and pH balanced. The recommended application for both these products is twice a week. Gently massage the cleanser on your face and neck in a circular motion for 2-3 minutes and rinse with luke warm water. Then follow up with the cleanser which can either be spritz on or applied using a cotton disc. The moisturizer comes in a 30ml jar and contains ingredients such as Glycolic and Salicilic acid which exfoliate and heal the skin, Shea and Mango butter which moisturize the skin, Vitamin E which protects the skin from UV rays, bilberry and more. Apply the moisturizer on your face and neck daily after cleansing and toning. It is recommended to apply a generous amount, and this gets absorbed very easily so even if you use more than needed, there is nothing to worry about. I usually apply about a pea-sized amount to the 5 points on my face and then gently massage it in, because not a lot is actually required for you to feel that your skin is moisturized. Retinol is amazing for promoting skin regeneration. I have tried using tretinoin for a while and one thing I noticed was that it made my skin extremely dry. Even when it wasn't peeling, you could see my skin was dry which didn't make my foundation look very good. The Retinol Serum on the other hand contains retinol as well as hyauluronic acid which penetrates deep into the skin and moisturizes it. 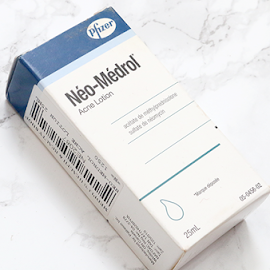 The serum is aimed at repairing damaged skin and fighting against aging, making it great for acne scars. You can add this to your skincare routine by applying it after toning and then applying your moisturizer on top. 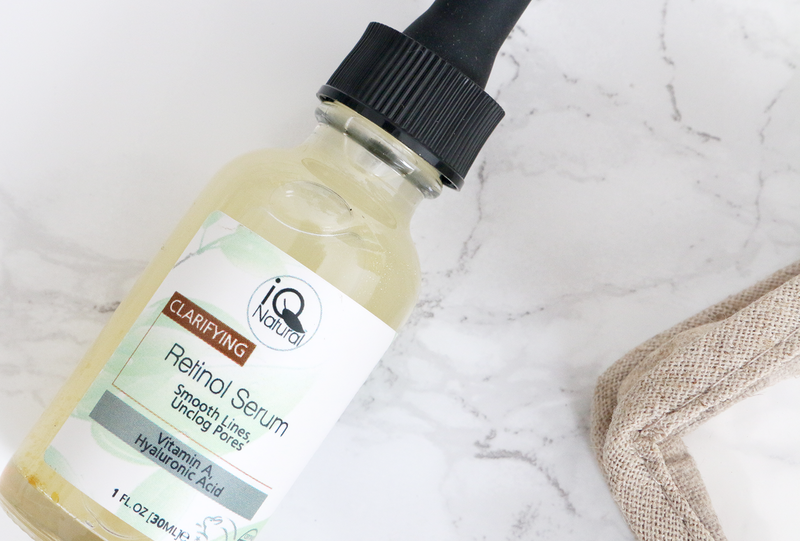 The serum absorbs easily and looks quite matte when dry making it perfect for my oily skin. I have been using a combination of these products over a couple of weeks and I can definitely see a difference. My acne scarring was quite serious and included very deep scars which made the skin uneven. Slowly, I can see the dept of the scarring reducing and I have had only a few breakouts since starting using these products. I am happy with the results I have gotten so far and look forward to it improving even more. 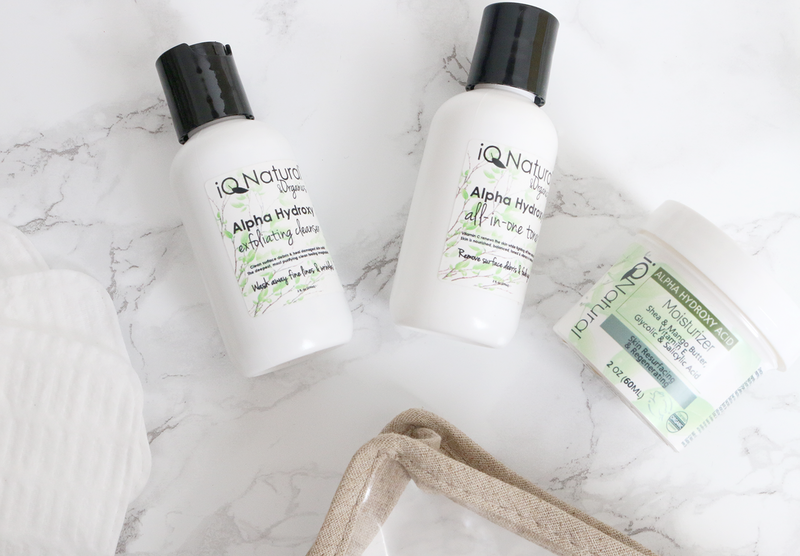 You can order all these products from the IQ Natural website, and even though international shipping might take a while, it will all be worth it once you start using the products. The products included in the Alpha Hydroxy Damage Reduction Set can either be bought separately or as a kit. The full size version of the kit costs $69 while the travel size is $34. You can get the Retinol Serum for $34. But since you will not be using most of the products daily, they will last you quite a while. So be sure to check out what products target your skin concerns and try out a few of their products. What skin issues do you struggle with? 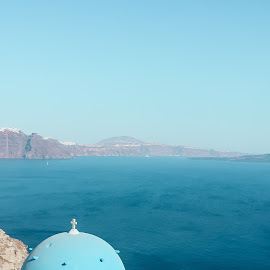 Ware your holy grail products in your skincare regimen?